I'm making a script that can be called by the processing.execAlgorithmDialog function. For one of the parameters, I want to use the QgsProcessingParameterFile class for selecting a .csv file. 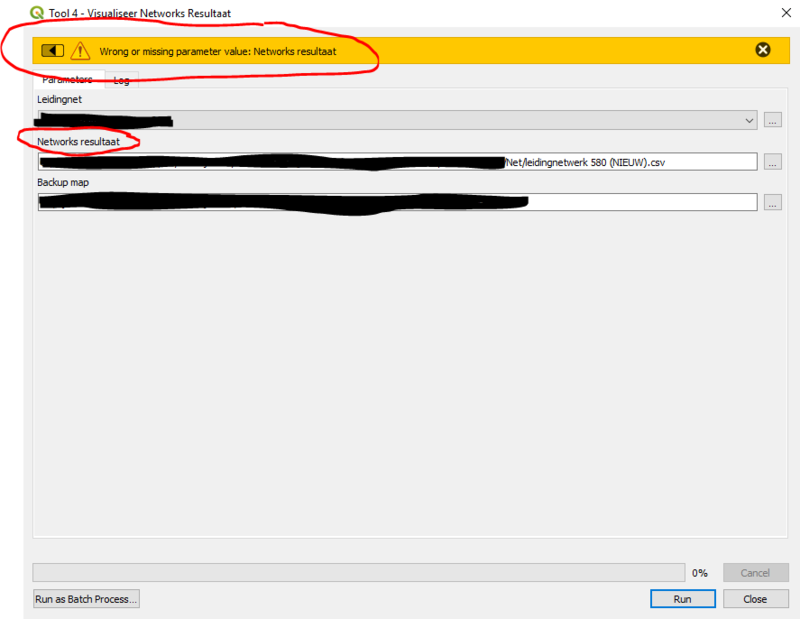 When I select a .csv file in a folder and press OK to begin the script, I get the message Wrong or missing parameter value: Networks resultaat (see picture below). None of the above actions fixed the problem of getting this message and I can't find any other solutions on the internet. Do you have any idea what the problem can be or how I can fix it? Browse other questions tagged pyqgis qgis-plugins qgis-processing qgis-3 or ask your own question.